ARIA | Symphony Novel | OK Listen! 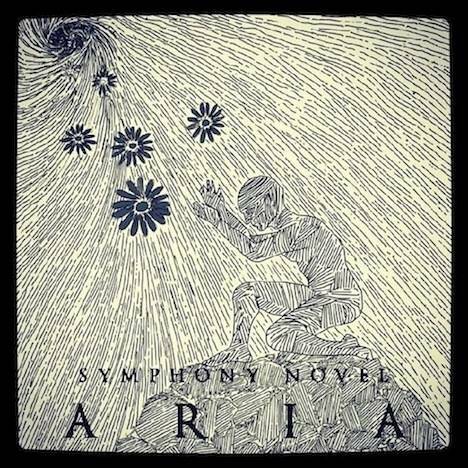 "ARIA" is the debut album by Symphony Novel , a progressive / post rock / experimental / world / instrumental band from Mumbai, India , started in early 2012 by Rachit Sachdeva . A lot of thought went into naming the band. We feel Symphony Novel suits us best as we are constantly thriving , making new stuff and evolving extensively. The band members are :- Suvarna Tiwari [ Indian Classical Vocals ] , Gauri Aayeer - [ Western Vocals ] , Vivek Khati [ Guitars ] , Rachit Sachdeva [ Guitars ]. The songs are a unique blend of instrumental, progressive rock with classical Indian vocals textured over them. its amazing how our vocalist Gauri has stylistically sung the tracks maintaining the perfect balance between Indian classical and western music.
" The sound is rich , deep and formidable from the beginning to the end on this unique and powerful debut album .The band adds a stylistic touch of Indian classical singing textured with some of the most powerful drums I've heard this year " - Review by Mark Johnson - Sea of Tranquility - The Web Destination for Progressive Music. "The band describe their music as post rock / experimental / world / progressive – which lets you know that this is a band trying to do something different. And listening to this, their debut album ARIA, I think they have managed to do that – because this is a 6 track album of progressive rock that masterfully blends together Indian and western influences to create something rather exceptional". "The tight, well-defined narrative flow of ARIA detracts a little from initial attempts at ambitious experimentation, with a clear sound developing through the course of the release. It’s not changing the game per se, but it does discover unfamiliar spaces while still maintaining a strong structural core, stoking the listener’s curiosity at the very least." Aslam Khan - Recording, Mixing and Mastering. Gautam Deb and Cyriac Varghese - Album Artwork , Logo. Bhavika Shetty - Vocals on " Chant" and backing vocals on " Infirmity". Gauri Aayer - Vocal on "The Lake", "Infirmity" and "Smokin Sap". Gino Banks - Drums, Percussion. All music written by Rachit Sachdeva. All lyrics written by Rachit Sachdeva. 2013 Symphony Novel. All rights reserved.